Family game night is an excellent opportunity to put down the cell phones, turn off the computer and video games, and gather everyone together. Parents and children are able to spend some much-needed downtime reconnecting and creating memories. Making a habit of game night also keeps the lines of communication open, especially as children grow older. Whether you are just starting this as a family tradition or are looking for ways to re-energize it, here are some ideas that will have you and your little ones looking forward to the next get-together. Commit to a date: Families are busy, so choose a date that every family member can agree upon. Whether you decide to have family game night once a week, twice a month or monthly, set a date to which you all can commit. Knowing that every Wednesday or every other Tuesday is family game night will give children and parents something fun to anticipate. Make an easy meal: When family game night arrives, everyone wants to get to the fun, so planning an easy meal is the best way to get parents out of the kitchen fast so the play can begin. Plan ahead with a frozen pizza or a casserole made the day before, served with a simple salad, raw veggies or cut-up fruit. Homemade hamburgers or grilled cheese sandwiches are also quick crowd pleasers. Plan some fun snacks: Once play begins, you won't want to stop the fun when everyone gets hungry. Have a few prepared snacks and drinks available or make a special recipe beforehand. Fresh fruit, trail mix, pretzels and popcorn are all good choices that are simple to serve, or make up a batch of cheese nachos that everyone can dig into. Prepare drinks ahead of time to serve with the snacks or have soda, water or juice on hand to quench everyone's thirst. Have a variety of games: You will want to have a good mix of games that match your children’s abilities. 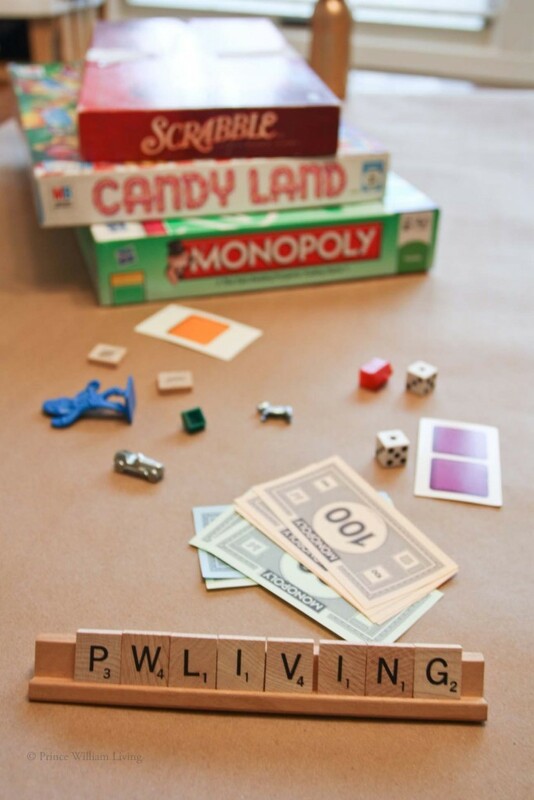 Classic board games such as Monopoly, Life, Clue and Sorry work for almost every age group. A deck of playing cards allows for options that grow with your child, starting off with Go Fish, Crazy Eights, War and Slapjack, with the option of adding more complex games such as Rummy, Spades and poker over time. Classic games like Perfection and Operation build hand-eye coordination, while Twister will get everyone moving—and laughing. Trivia games can be educational and fun, too. Have the children take turns picking the games, or draw game names from an empty jar to make things fair. Add to your collection by keeping an eye out at yard sales, thrift stores or retail sales. Keep it fun: The point of the evening is to enjoy each other's company, so don't get too wrapped up in the competition aspect. Make jokes, help each other out and, most of all, remember that being together is what's important. 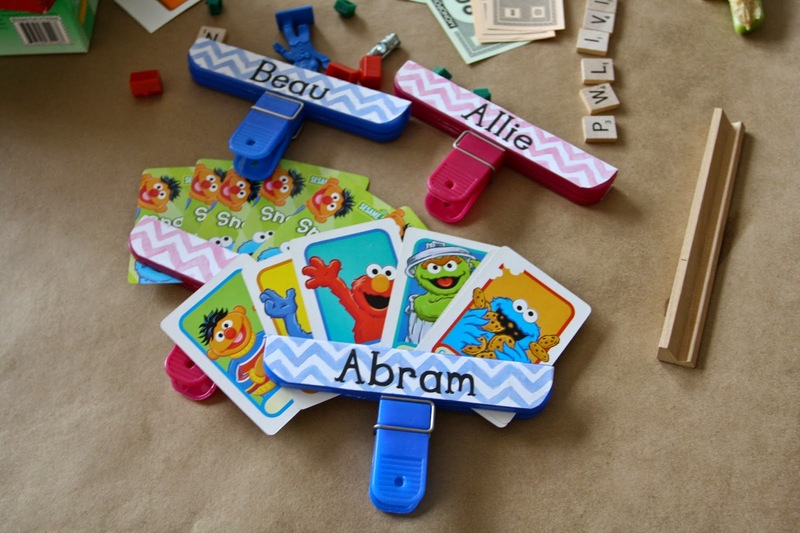 Personalized Card Holder Young children love to play games like Go Fish, but cards are hard for little hands to manage. If they lay their cards down, it becomes almost impossible to play fairly. Enter the personalized card holder to keep cards organized and out of sight. I’ve seen similiar products at game stores, but these are so much more fun, and only cost about $1 to make. Start with a chip clip; you can get them at a dollar store if you don’t have any laying around the kitchen. Then, pick scrapbook paper that will load into your printer or use digital scrapbook papers. Sometimes you can find free patterned paper images online, or you may have some clipart backgrounds in Word or other software you already own that will work. Measure your chip clip so you know how wide the paper needs to be (should be at least width of clip at longest point) and add your child’s name if you wish. Make sure it will go in the right direction; the clip will be held upside down by the spring end when in use. You will want one piece of paper for the front (with name, if using) and one for the back (no name). They will be the same size. Print off your paper, cut out and trim to fit the clip. Mod Podge your paper on the front and back and ta-da… a personalized card holder that will keep the game fun (and fair) for everyone! Celery sticks, animal crackers, and/or assorted dippers such as carrot sticks, apple wedges, pear wedges or graham cracker sticks. Directions For dip, in a small mixing bowl beat cream cheese with an electric mixer on medium speed until smooth. Beat in peanut butter, milk and honey until well combined and smooth. If desired, chill before serving. 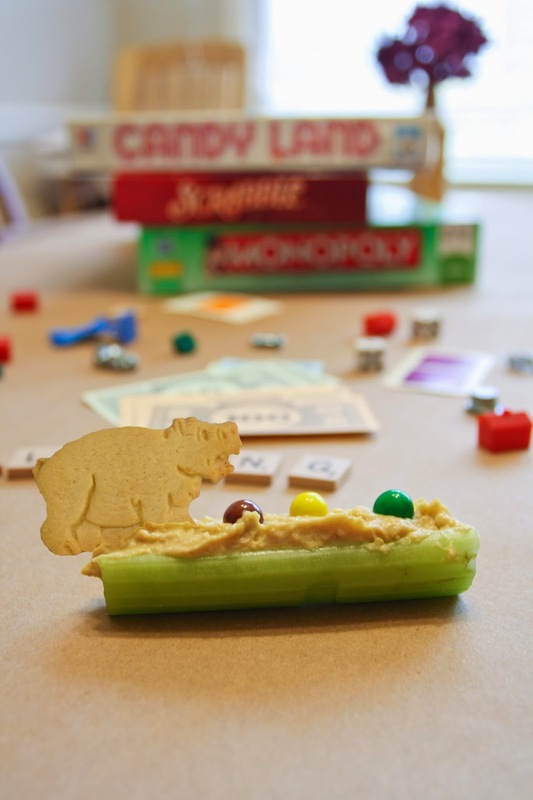 To serve, spread dip in celery sticks and garnish with animal crackers and cut-up fresh fruit. Or, serve with assorted dippers. Amanda Causey Baity, Prince William Living’s marketing director, lives in Montclair with her family. She also blogs about thrifty family activities and recipes on her blog GreenOwlCrafts.com. She can be reached at acausey@princewilliamliving.com. Published in the January issue of Prince William Living. I accidentally saw your post and it attracted me from the first few seconds, it was excellent, hope you have more successful posts. I like this post because it contains a lot of useful information to read, maybe everyone will like me.